Ahoy me matey! 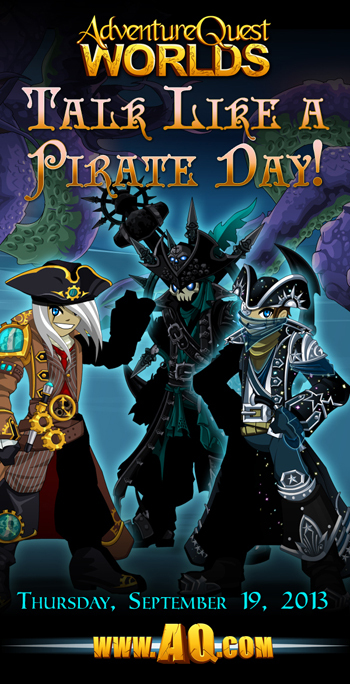 Friday be jus’ over the horizon, ‘nd that means International Talk Like A Pirate Day be here! 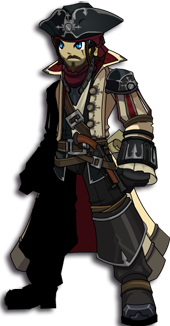 Aye yes, and ye best be ready too, ‘cause we pirates don’t take too kindly to lilly livered landlubbers. 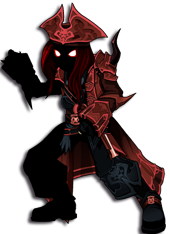 But fret not, sailor—ye be in luck, ‘cause me ‘nd me AQW Crew has a lil’ lessen for ye in the way o' the Pirate. Yaaaar! Pirates don’t be good at speakin’. We be mutterin’ most o’ our words. Best get used to it, matey! Ye gatta run ye words togeth’r. Ye gatta slur. Don’t be usin’ no proper sentences, either! If ye still got both ye hands, use a motherload o’ gestures. 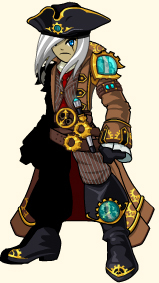 Movin’ ye hands about when ye speak be key to a pirate’s life. It also be good fer protectin’ against Carpal Tunnel! Pirates be loud ‘nd lusty ‘nd brash. Thee louder ye be, THEE SMART’R YE SOUND!!! Never say “you” or “your” unless ye wishes to walk the plank. 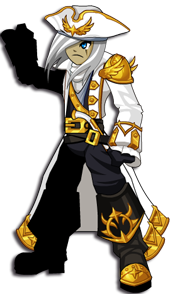 It be “ye” an’ “yer” in the Pirate’s life! Savvy? Make up words if ye have to! 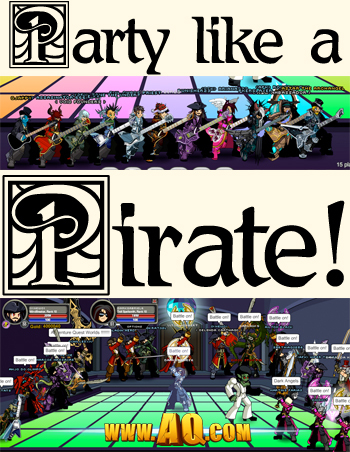 We pirates don’t be mindin’ a wee bit o’ hornswaggling! Pirates be superstitious folk. Never leave port without ye good luck charm, or there be mighty a dire consequence! Me never leaves me home base without me lucky pink skull pendant! 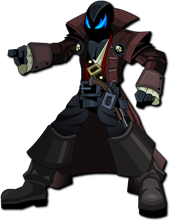 Below be a list o’ the best pirate-speak in all thee seven seas! Best practice these phrases, ‘nd ye then be ready fer Talk Like A Pirate Day on September 19! ‘nd more treasures await to be plundered! 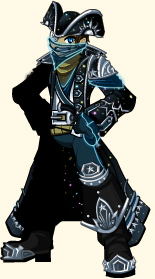 Ye be a savvy pirate now, that ye be. 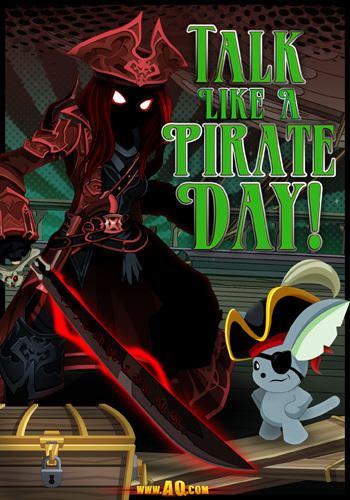 On behalf o’ the AQW Crew, ye now be ready fer Talk Like a Pirate Day! 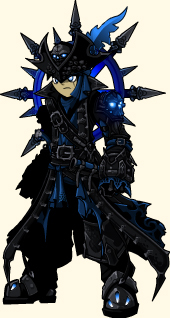 Weigh anchor, grab ye cutlass and ye captain’s hat, ‘nd don’t be forgettin’ yer trusty parrot neither! At any time ye be needin’ a smartly reminder, sail back ‘ere ‘nd get a seaworthy refresher!